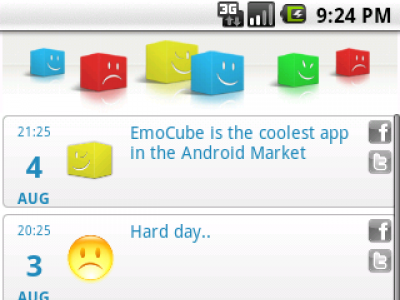 EmoCube (Android) - Very cool social diary ~ Android Forever! Was last Monday a great day? Or was it as bad as it gets? Can't remember? Get EmoCube and you can record the essence of each day, how you were feeling, and share it on Facebook and Twitter.